(EDIT: This post was done using the trial version of Gutenberg, the new format WordPress is rolling out soon. I am not sure if I did not do it right or it is a glitch, but the various paragraphs are not showing up in the post. Looks great in the editing view, but like I have no writing skills in post view. Figures! Anyway, enjoy the run-on paragraph mess.) As many of my subscribers know, the postings on my blog have become sparse at best. The various obligations of being a wife and mother, a small business owner, a church officer, and more have made it so that I do not have a moment to spare… much less sit down for an hour or two to craft a blog article. My blog is completely free and I do not make a penny off of it; therefore, it sits with many other pursuits at the bottom of the pile that remains mostly untouched during the past few years. As my seed business grows larger and my customers have the desire to read pre-made articles on various topics, I have decided to revamp my blog to make it 1.) more customer friendly so there are plenty of articles related to what I sell plus some other topics, 2.) it is more search engine friendly, 3.) provides up-to-date content, and 4.) is set up to allow me to post quickly and easily. Wordpress is currently undergoing changes that will help me on the “quick and easy” bit, but the new format will not support some (possibly all) of my previous posts in the format that they were in. I have the option to make certain changes to them to make them more compatible with the new format. In an effort to do this with my limited time, most of my old posts will be disappearing in the near future (before November 1, 2018) and will be reappearing rewritten and updated for the new format and potential up-to-date content. I am not sure how long it will be between the disappearance and reappearance of the articles, as it will depend on me, my ability to adapt to and learn the changes that are being made in WordPress, and how detailed it is to make the appropriate changes to the content to make it not only accurate for the subject but also fully interactive with all of my social media platforms. My current plan is to re-release the articles ‘in season’ with the particular topic so that I have the ability to add a video demonstrating a technique or list a new 2019 variety or whatnot. I ask for your patience during this time, but hey, for the most part, it will be kind of like the “same old” with not many posts. Stick with me. If WordPress follows through on what their changes promise to be, and I can make the ideas in my head a reality, this blog will be popping by the time all is said and done. Good luck with any gardening endeavors (or planning) that you have in the next few months. I look forward to surprising you with something interesting once winter comes. 😉 *************************************************************************************** © Mertie Mae Botanics LLC and Horticulture Talk!, 2018. Unauthorized use and/or duplication of this material without express and written permission from this blog’s author and/or owner is strictly prohibited. Excerpts and links may be used, provided that full and clear credit is given to Mertie Mae Botanics LLC and Horticulture Talk! with appropriate and specific direction to the original content. “You seem to have a real problem with master gardeners. What is your ******* problem? Are you jealous that you are not one? Master gardeners are experts and instead of being a ******** about gardening you should actually learn something about gardening. You know **** and you give poor advice. I’m sick of you ******* about us. You are one of those ******** that once planted a plant and now think you know every ******* thing about gardening and you probably have to copy your blog articles off of someone elses blog and put them up as yours because you are so ******* dumb. All the comments you have up are the good ones because you probably delete all the ones that ***** at you because you are a ******* *******. You are making fun all the time of people that actually know how to garden and you give master gardeners a bad name. I wish someone would regulate blogs so stupid ********** losers like you could not write dumb*** articles or copy other peoples articles. Why don’t you stop being so ****** up and go become a master gardener so you are not so full of ****! Thank you for your comment. Your comment is proof that all comments posted on my blog are published, although yours has been edited for this post because of your use of colorful language. I made the edits equally colorful. However, your original post on my “Post a Question” page has been left in its entirety because I do not have the ability to edit posts to my page. My readers that enjoy the rancor of a sailor’s tongue can head over to view it in all of its explicative glory. So, why do I sometimes say things about Master Gardeners that may indicate that not all are experts? – People that know nothing about gardening think it is the same has having a Master’s Degree or being a Master Carpenter. These are titles that represents actual mastery of a subject through hard work, non-open book tests, and more than just showing up and standing around for volunteer work. – The name is often mistakenly assumed to indicate a higher level of knowledge and training than actual horticulturists with years of university training. – Many complaints that America’s Master Gardener, Jerry Baker, is a known quack who’s made millions off that self-proclaimed title while giving advice that often kill or stunt plants. It died because you aren’t a master like him. Ever wonder which program on PBS’s Create channel gets the worst reviews and has the highest number of complaints from non-Master Gardener garden groups and viewers? Jerry Baker’s show. When I was in my teens, I worked at research facility that had trial gardens. The folks I worked with all had experience with farm crops (having been raised on the farm), except for one. The lady in charge of the gardens was a Master Gardener, and boy, did she know it all. She made sure that everyone else knew that she knew it all too (even in areas like horses, homemaking, mechanics, and more). Even though she had gone through the classes and was her county’s biggest, best gardener (named so by the local Master Gardeners association), she still didn’t realize that you don’t plant your cole crops 4″ apart. According to her, all the package directions for the seeds were wrong, and it was the soil’s fault that her cabbage, broccoli, cauliflower, etc. heads were golf ball size or smaller. That rotten sandy soil. Really? Then why was a researcher a few plots over growing huge cole crops with the same water and fertilizer regime? In college, I worked on campus in my department and one of the favorite major advisors for the department was a huge Master Gardener. She had landscaped an area near one of the entrances to the building. Oooohhh, aaaahhh. NOT! Apparently she had never heard of this funny little thing called ZONES! Just because it grows as a perennial in Florida where you saw it on your last family trip does not mean it will grow here. Even at the best of times, the area was an eyesore and finally the university told her they would be doing all future landscaping in the area because it made the campus look bad. She also wore Wal-Mart bags on her feet and nitrile gloves on her hands because she was scared of deadly soil organisms. After getting out of grad school, I started working at Unnamed Major Home Gardener Seed Catalog and spoke with Master Gardeners daily. How did I know that they were? Well, first of all, when they called into our customer service department and got an answer they didn’t want to hear, they made sure that the operator knew they were a Master Gardener. Of course, said Master Gardener always wanted to talk to the horticulturist. The slips that were passed along to me for call backs always noted that I should be prepared because the customer was a Master Gardener. They would talk to me and I would set them straight. If they didn’t like what I said, they often would tell me that I was an idiot and that I didn’t know what I was talking about and that they were a Master Gardener. I would apologize for their dissatisfaction for my response and provide them with some university extension websites from their state that they could find the information on (that repeated the exact same thing I had just told them). This usually calmed them down, but a few would threaten to talk to my boss and get me fired. I remained at my job for years after, and when I finally left the company, it was because I wanted to leave because I was starting my own business. 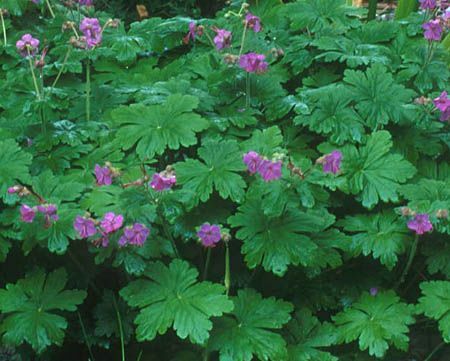 That, my friends, is a Bigroot Geranium (Geranium macrorrhizum). And last, but not least, I still enter back home at the fair. For years, I have been thinking I will just stop entering flowers and houseplants because the entry list becomes more convoluted each year — like it was written by someone that knows nothing about flowers and houseplants. When I was a kid, we had these two older ladies that were the superintendents and they were rock stars! The entries came in by 11 a.m. and they had things ready to go for judging 2 hours later. 1000s of entries. Over the years, these ladies retired and were replaced by local Master Gardeners. First, it was too hard to get the entries ready for judging in 2 hours. They had to be entered the day before. Then the Master Gardeners could not figure out if the entry list should read stems or blooms for various flowers. And then this year the change was made that you cannot have any pot over a couple gallons in size because they are so big. As each change was made, the number of entries dropped significantly. Now the entries are down to a couple hundred, and it is still just so difficult for the Master Gardener lady that is the superintendent. This year she was baffled by petunias and daylilies. She didn’t know that petunias can have more than one bloom per stem or that daylilies are open for only one day. Petunias! Daylilies! These are common, beginning gardening plants! And yet, she is one of the top Master Gardener in the county. Need I say more? The long and short of it is that I hold a Master’s Degree in Horticulture, I operate my own horticulture business, I have numerous published journal articles and am a contributor to a gardening book, I am a certified horticulturist, and I have almost 35 years of gardening experience. Despite ALL of that, I would never go so far as to call myself a Master or an Expert or anything else that would remotely suggest that “I have arrived” when it comes to gardening. Any person that TRULY has a breadth and depth of their field knows that no matter how trained they are, there is always something to be learned. I learn more about gardening every day through my own hands-on experience here at my farm and through the experiences of other gardeners that I help out with consultation and advice. While I know many gardeners that are Master Gardeners with enough knowledge to fit on the head of a pin, there are a number of Master Gardeners that don’t have to flash their credentials to the world. These are the ones that truly embody what the Master Gardener program is supposed to be about, but helping through outreach programs and 4-H, using their talents to judge at county fairs and horticultural shows, working at a horticulturally-related job, or expanding their knowledge by getting involved with companies like Seed Savers Exchange. These non-flashy Master Gardeners know a lot about gardening and have yards that show their knowledge, and they don’t have to get up on a soap box and say, “look at me” to make themselves feel better because of their inadequacy in the garden or a lack of plant knowledge. When I gripe about Master Gardeners, my issues are not directed towards those that are using the program in the way it was meant to be rather than using it as a social status. Unfortunately, when one attends an event where a Master Gardener(s) is(are) present, it is too often the flashy, ‘expert’, attention-hungry Master Gardeners that show up. And by their actions, they show how little they know and give the organization as a whole a bad name. Maybe a more appropriate name for the program would be “Horticultural Volunteers” or “Horticultural Research Volunteers”. I wonder how many ‘experts’ like yourself would still be interested in being in the program? Remember, Lynn, the loudest one in the room is the weakest one in the room. © Mertie Mae Botanics LLC and Horticulture Talk!, 2014. Unauthorized use and/or duplication of this material without express and written permission from this blog’s author and/or owner is strictly prohibited. Excerpts and links may be used, provided that full and clear credit is given to Mertie Mae Botanics LLC and Horticulture Talk! with appropriate and specific direction to the original content. 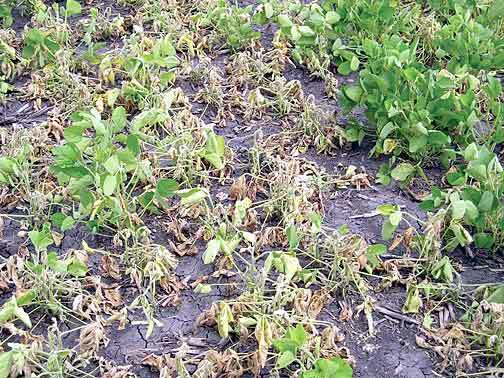 Kiss of Death: Why are the plants dying? I look forward to your response and helping you out on this matter. Sounds to me like there is something wrong with the environment that your plants are growing in rather than the plants themselves. If you were having problems with just one crop (i.e. beans or squash) or if you were having problems with one family of crops (i.e. tomatoes, potatoes, peppers, eggplants), we would then be looking at some type of disease or insect problem that was hurting the plants. However, with the problems you have been having, it is everything across the board. What you have been doing in terms of watering and fertilizing is correct. This means that the soil is likely the problem. My suggestion would be to have your soil tested through your local county extension office for Lee County. Their website and contact details can be found here: http://lee.ifas.ufl.edu/. Based on the results of your soil test, their county ag agent should be able to help you in identifying what amendments need to be made in order to get your garden back on track. Lycopene in Tomatoes: Which is the Best? 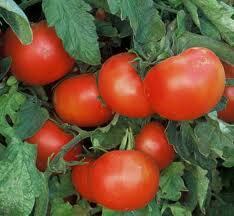 “What tomato has the highest lycopene content? I see different catalogs will say that theirs is the best, but I want the one that is really the best. Please help! Thank you for the question regarding Lycopene content in tomatoes. For the most part, your run of the mill red tomatoes have about the same amount of lycopene (approximately 4.6 mg per cup of raw fruit). However, Health Kick Hybrid VFFASt is the best, as it has about 6 mg per cup of raw fruit. In general, the brighter the red, the more lycopene content you have. If the flesh is more red-orange, there is more beta carotene and other yellow-pigmented carotenoids mixed in. If you go with a more deep red to red-purple tomato, there are more anthocyanins in the flesh. One thing that you may not know — cooked tomatoes have up to about 170% more lycopene than raw tomatoes. It’s not that cooking the tomato makes more lycopene develop, but that the cooking process breaks down the tissue. If you were to eat a tomato raw, your teeth only break the fruit down so much and then your stomach does a little more. But in the end, you still have chunks that go undigested. Cooking makes the tomato more broken apart to start with, and then the chewing and digestion in the stomach breaks it apart more. So, if you make or purchase tomato paste, there are about 60mg lycopene per cup. Tomato sauce has about 34.2mg per cup and ketchup has about 2.6 mg per tablespoon. Gardening’s Latest Trend: Seed Tapes — To Buy or To DIY? I see a lot of seed companies have seed tapes this year. What exact are these, do they work, and do you recommend them? Thanks for your questions. You, like many others that received seed catalogs this year, are wondering what all the fuss is when it comes to seed tapes. 1. Dexterity issues. For older (and even younger) gardeners, it is difficult to sometimes put an individual tiny seed in a particular spot. With seed tapes, the detail work is taken out because you just lay down the tape. It works great for children too. 2. The seed is in the ground. If you have a gully washer rain storm or birds come along, your seed will stay in the ground. 3. Perfect spacing. Every time. If you are smart, don’t buy the seed tapes from a mail order company. Don’t get me wrong — I’m not anti-seed tape. I think seed tape is great if you are a person that can make use of it; however, going along with the latest seed catalog gimmick is NOT the way to go! First, let me explain why. 1. Currently, the seed tapes are only offered for varieties that are produced by Bejo Seeds. Bejo is a subsidiary of Bejo Zaden Seeds, a Dutch seed producer. We here at Mertie’s like Bejo — they have a lot of great varieties, including White Satin and Yellowstone Carrots that Mertie, Patch, and Rhubarb enjoy eating (yes, our cat loves carrots!). But if you are a person that grows a non-Bejo variety and you want seed tapes, what do you do? Do you switch varieties? 2. It is a lot more expensive to buy seeds in a tape than to by them loosely. An individual seed tape is 15′ long and has, on average, 45-90 seeds in that 15′ (45 seeds = 4″ spacing, 90 seeds = 2″ spacing). Most seed packets the same price or less often contain 200-2000 seeds, depending on the crop or the seed company you buy them from. 3. 4 years ago I had the opportunity to try commercially-produced seed tapes as a trial. I had carrots, beets, lettuce, and radish. With the radishes, the germination was not better than the row of the same un-taped seed next to it — and in fact, was in some cases worse because each seed was in a particular spot (to eliminate thinning), so if it didn’t germinate… well, you have a open hole in your row. Also, the little rodents that liked to wander in my garden seemed to have an easier time finding the lettuce seed because it was all in a row. They dug a hole at each spot where there was a seed was. The beets were the only thing that did truly well, and I suspect it was because a beet seed sends up multiple shoots. Although my research didn’t have a gully washing rainstorm involved, I find it hard to believe that the tape could hold the seed in the ground when it supposedly begins to degrade as soon as it gets wet. Those two comments seem to be complete opposites. They make their own. Efficiently and cost effective. Depending on how you garden, there are two different ways you can do this: conventionally or organically. Either method can be used for just about any seed, although tapes for larger seeds (corn, beans, peas) will need to handled with care after gluing so as to not knock off the bulkier seed. 1. Cut the newspaper into strips that are 1/2-1 inch thick strips. (After you do this a bit, you will know what seeds work best with what thickness). 2. Read the planting instructions for your particular seed. Pay close attention to the seed spacing in the row. 3. Place a dot of glue along the strips at the spacing you want your seeds. If you want to have the ability to thin your seeds, place the dots at the measurement indicated for planting the seeds in the ground. If you do not want to thin, place the dots at the spacing of what your plants would be thinned to. DIY Seed tape with lots of thinning: space glue drops 1/2″ apart. DIY Seed tape with some thinning: space glue drops 1″ apart. DIY Seed tape with no thinning: space glue drops 2″ apart. 4. Put a single seed on top of each glue drop. 5. Allow glue to dry for 24 hours. 6. When planting, make sure your row is wide enough to allow for the tape to be laid down flat. Plant at the depth indicated on the packet for the seed. Water well, as there needs to be enough water for the newspaper to absorb and for the seed to imbibe. 1. Roll the toilet paper out to the desired length of our strip and cut down the middle to make 2 long strips. Make multiple long strips if using paper towels. 2. Mix the flour and water together to make a 1:1 mixture to use as paste. 3. Place a dot of paste along the strips of toilet paper at the spacing you want your seeds. If you want to have the ability to thin your seeds, place the dots at the measurement indicated for planting the seeds in the ground. If you do not want to thin, place the dots at the spacing of what your plants would be thinned to. 4. Put a single seed on top of each paste drop. 5. Allow paste to dry for 24 hours. 6. 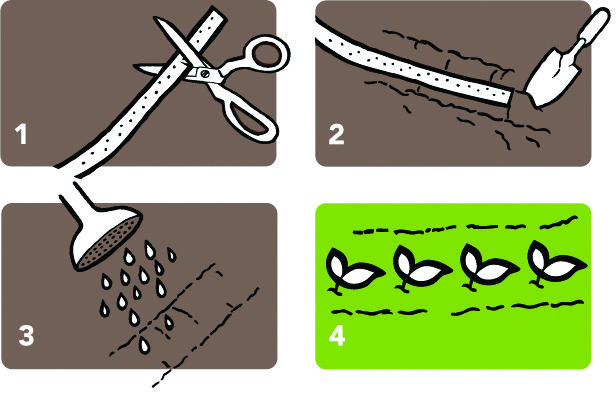 When planting, make sure your row is wide enough to allow for the tape to be laid down flat. Plant at the depth indicated on the packet for the seed. Water well, as there needs to be enough water for the toilet paper to absorb and for the seed to imbibe. In looking through all my catalogs to get background information for this article, I had a couple catalogs/one main company that had a slightly different description of their seed tapes that was a bit… puzzling. If you look at Park Seed, Burpee’s, or most of the catalogs selling seed tape, you will see that they are listed as being “biodegradable”. However, the Jung Seed write-up about seed tapes (and those of their subsidiary companies R.H. Shumway’s and Vermont Bean), they are “completely biodegradable and organic”. Organic??? Really…? After speaking with Laura, a Jung Customer Service Representative, I found out that their version of organic is that the paper is but the seed is not. Hmmm… This further prompted me to contact Bejo Seed. Their representative Mary informed me that the tape is the same that they use for customers that are ordering organic seeds; however, the process of putting the non-organic seed within the organic tape paper automatically makes the tape paper NOT organic and the Jung company is misrepresenting their product. Many apologies followed, as Bejo has the highest standards and wants their customers, and the customers of their customers, to be pleased. Yet another example of why it is important to read descriptions carefully and always ask questions. As always, leave it to us here at Mertie Mae’s Horticulture Talk to get you the real story behind things! Thank you for your question, and I hope this information helps you out! It’s not just when you put your home on the market that you should think about improving the curb appeal of your home. Of course, that’s the trendy topic of more than a few TV shows, books and blogs, which is a good thing! But, we are proponents of improving curb appeal for your own enjoyment, as well as for the betterment of your neighborhood and community. An attractive, well-maintained yard and garden is a key part of curb appeal. If you are trying to market your home, the first impression of a house and the surrounding landscape can make a potential buyer take a closer look at the property or immediately move on to the next house. 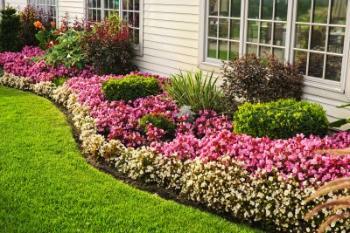 Attractive landscaping can help a house sell days or weeks faster than other houses on the market. It’s estimated that well-maintained trees and gardens can increase a home’s value by as much as 15%. All homeowners should make outdoor cleaning a priority. Investing a little time and a few dollars can make the outside of your home sparkle. Mow the lawn and rake up leftover leaves or debris. Trim trees and shrubs by removing broken branches and any unsafe, low or overhanging branches. Trim the grass encroaching on the sidewalk and driveway. Tidy up any flowerbeds by cutting a new edge or trimming grass away from the borders and pull all offending weeds. Then add a few bags of mulch around the base of plantings for a nice, clean look. That’s what we call basic landscape upkeep and if that’s all you have time for, you certainly can stop there but you’re not getting that full 15% of enhanced home value. Now’s the time to consider a few gardening tasks to really improve the look of your home. Gardening doesn’t have to be a lot of work or take a lot of time. A few shortcuts can create an instant garden. You don’t even have to own a shovel! Start by adding containers of colorful flowers. 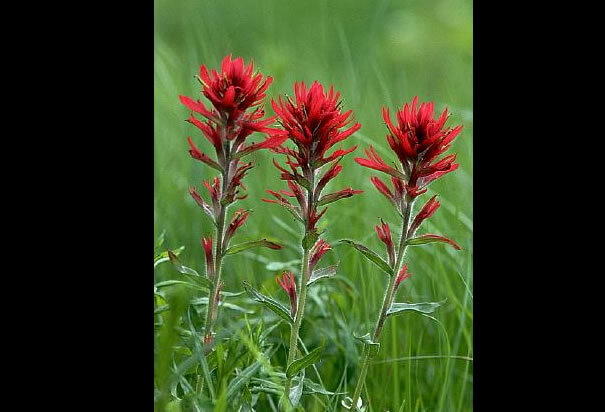 They are easy to grow and can be placed in many areas around the house and yard. Put a container by the front door to welcome visitors. If you have a covered porch, add a few hanging baskets. Attach some window boxes to the deck rail or at the base of several key windows. Enhance an ordinary planting of shrubs by grouping colorful containers in front and around the shrubs to make the area look larger and more attractive. You’ll find an assortment of pre-planted containers in a variety of plant and color combinations available at the local garden center, home store, supermarket or hardware store. At this time of year, there are beautiful containers of fall flowers such as mums, flowering kale or cabbage, pansies, violas, and more to provide a quick pop of color and character. Simply determine if the container is recommended for sunny areas or shaded spots, then choose whichever matches the conditions where you’ll put the container. Keep the container watered and remove faded flowers to keep plants blooming. Looking for something more unique? Design and plant your own containers. Available in a variety of sizes and colors there’s a style of plant container to complement any home. Whether you like plastic or clay, ceramic or wood, there are two simple rules. Select a container that’s large enough for the plants and make sure it has drainage for excess water so plants don’t drown. Then fill the container with a good soilless growing media. For easy maintenance, choose a media that contains a slow-release fertilizer for healthy plant growth. When deciding which plants to choose, express your creativity by selecting plants or flowers in the colors or combinations you like. If you’re a cook, choose a variety of tasty herbs or mix herbs with flowers and vegetables in the same container. The possibilities are endless. If you need a little inspiration, look at pre-planted containers at retail stores for ideas of pleasing plant combinations. Some new homeowners who want a larger garden may find that their soil is not the best so an easy solution is to garden in raised beds. They can be quickly made from landscape timbers, lumber, or bricks. Raised bed kits of wood or recycled plastic can be purchased from garden catalogs and websites. After assembling the frame, simply fill with bags of high-quality soil, compost, and composted manure. Annual flowers and vegetables such as lettuce and beans can be grown in a shallow raised bed that is 4-6 inches deep. For perennial flowers and plants such as tomatoes that need to develop a more extensive root system, a bed that is 8-12 inches deep is recommended. Plants can also provide solutions to some potential homeowner problems. Maybe you’d like some privacy or a screen to hide an unsightly view. A hedge of shrubs is great but can take time to grow and fill in. In the meantime, plant a row of sunflowers from seed or plants. They grow quickly, withstand heat, dry conditions, and provide beautiful flowers. As an extra benefit, the flowers can be cut for attractive bouquets. Do you want to soften the appearance of a chain-link or wire fence? Plant some morning glories or a vegetable such as cucumber, squash, or gourds at the base of the fence. The vines will grow quickly using the fence for support while covering it with leaves and delightful flowers or nourishing vegetables. These ideas provide all homeowners with easy ways to become involved in gardening. Whether your garden is a hanging basket, a colorful flower border, or a large bed of delicious vegetables, you’ll enhance the value of your home and create a more beautiful living space for everyone to enjoy.